If you are seeking for Michigan Pools, it is fantastic to know many of them belong to gyms or sports centers which also provide lessons. Get informed by calling the premises. We possibly do not know all the Pools in Michigan. Are you missing any? Contact us!. 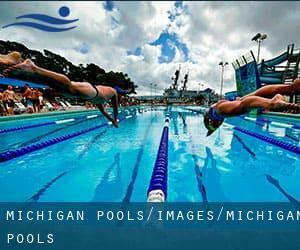 Swimia.com wants your feedback on Aquagym in Michigan to ensure all of the information about swimming in Michigan is valid. Before trying any pool, make sure you know the rules and regulations for Michigan Pools as they may not be the identical as in your residence town. We recommend you contact the pool directly to ask in the event you will need a hat, and what type of footwear or certain clothing you will need. Swimia.com has essentially the most up-to-date database on the internet about just about any Michigan Pool. Classified by countries, regions and cities, it really is simple to find the nearest pool at the locations you visit. For Michigan, you can have a look at the pools we've gathered for you. Traveling to Michigan? This is the perfect spot on the web to find places to swim in Michigan. Every day you are not swimming you're losing precious time in improving your skills to be a greater swimmer! No much more excuses! Find your nearest Michigan Pool and tell us how it went. One from the advantages of outdoor swimming in Michigan could be the possibility to sunbathe for the duration of the summer season. Taking it with additional care, sunbathing is healthy since introduces Vitamin D into the body, so the ideal selection seems to be switching between indoor and outdoor pools based on the season. Enjoy the best indoor pools in Michigan and don't worry about the weather. These facilities are open all seasons and you can enjoy a swim at the same temperature every day of the year. There are numerous alternative treatments to chlorination, with great advantages that ensure far better water good quality within the pool. One possibility is the mineralizer, which purifies water naturally and substantially decreases the chemical substances applied and maintenance time. Try Chlorine Totally free pools in Michigan. There are several reasons why you need to choose a heated swimming pool in Michigan. Essentially the most important one relies on the importance of keeping the body temperature stable. If the water is too cold, your body will try to warm it up and you will lose strength to swim correctly. If you're tired of having eyes and irritated skin, finding a saltwater pool in Michigan may be the solution. You should understand that the level of salt from these pools is well below the level of salt from sea water, particularly they are talking about a tenth or much less. Holding an estimated population of 114.297, Lansing is one of the most important cities in Michigan. Check all the Pool in Lansing and its surrounding area. It's difficult to visit Michigan with no dropping by Warren (with 134.056 residents). Presently Swimia is showing you all the Pool in Warren as well as the closest pools situated in its vicinity. Let us tell you a secret to switch off whilst you are in Grand Rapids: just choose a Swimming Pool in Grand Rapids and plunge into the water! There's no alot more effective technique. Without a shadow of a doubt, swimming in Ann Arbor could be the finest way to unwind right after function. Take a couple of minutes to browse Swimia's catalog to find a Swimming Pool in Ann Arbor. Swimming is really a excellent concept to keep your body active throughout your visit to Sterling Heights (Michigan), or even if you are a local. Swimia helps you to find your closest Pool in Sterling Heights. Updated on 2019 52401 Ashley , New Baltimore , MI , USA (Postal Code: 48047). Among all of the activities offered by the center, should you be thinking about swimming you will enjoy 25 meters, 8 lanes, 3.5 feet - 8 feet depth, Indoors. Just in case you want to contact this Swimming Pool before dropping by, we only know the phone number. Updated on 2019 12500 Crystal Mountain Dr. , Thompsonville , MI , USA (Postal Code: 49683). This sports center offers 20 yards, 2 lanes, Indoors. For this Swimming Pool, only phone number is number here. Updated on 2019 2800 Kettering Drive , Waterford , MI , USA (Postal Code: 48328). This sports center provides 25 yards x 25 meters, 8 lanes, Indoors. Contact information for this Pool such as phone number and email address are number. Updated on 2019 46000 Summit Parkway , Canton , MI , USA (Postal Code: 48188). Among all of the activities offered by the center, should you be thinking about swimming you will enjoy 25 yards x 40 feet, 5 lanes, Indoors. Just in case you want to contact this Swimming Pool before dropping by, we only know the phone number. Updated on 2019 At the South end of the CMU Campus , Mount Pleasant , MI , USA (Postal Code: 48858). Swimmers like you have reported 25 yards, 6 lanes, 4 feet depth, Indoors. Also, you will find 25 yards, 6 lanes, 4 feet depth, Indoors. Just in case you would like to contact this Swimming Pool before dropping by, we only know the phone number. Updated on 2019 8431 Rosa Parks Blvd. , Detroit , MI , USA (Postal Code: 48206). Among all of the activities offered by the center, if you are considering swimming you'll enjoy 25 meters, Indoors. Just in case you would like to contact this Swimming Pool just before dropping by, we only know the phone number. Updated on 2019 715 Brooks St. , Ann Arbor , MI , USA (Postal Code: 48103). Among all the activities supplied by the center, for anyone who is keen on swimming you will take pleasure in 25 yards, 6 lanes, Indoors. Just in case you need to contact this Pool before dropping by, we only know the phone number. Updated on 2019 1125 W. Civic Center Dr. , Traverse City , MI , USA (Postal Code: 49686). Swimmers like you reported 25 yards x 42 feet, 6 lanes, Indoors. Unfortunately we do not have the email address of this Pool, but we can give you the phone number. Updated on 2019 1201 W. Fair Ave. , Marquette , MI , USA (Postal Code: 49855). Among all the activities offered by the center, for anyone who is considering swimming you may appreciate 25 yards, 6 lanes, Indoors. Just in case you want to get in touch with this Swimming Pool before dropping by, we only know the phone number. Updated on 2019 701 N. Marshall Ave. , Marshall , MI , USA (Postal Code: 49068). Among all the activities provided by the center, in case you are keen on swimming you might take pleasure in 25 yards x 45 feet, 6 lanes, Indoors. Just in case you wish to contact this Swimming Pool prior to dropping by, we only know the phone number. Updated on 2019 100 Grand Traverse Resort Blvd. , Acme , MI , USA (Postal Code: 49610). Among all the activities provided by the center, if you are interested in swimming you'll enjoy 25 yards, 3 lanes, Indoors. Just in case you need to contact this Pool before dropping by, we only know the phone number. Updated on 2019 1401 Presque Isle Ave. at Fair Ave. , Marquette , MI , USA (Postal Code: 49855). Swimmers like you reported 25 yards x 60 feet, 8 lanes, Indoors. Unfortunately we do not have the e-mail address of this Pool, but we can give you the phone number. Updated on 2019 610 Hilton Blvd. , Ann Arbor , MI , USA (Postal Code: 48108). Swimmers like you reported 20 yards, Indoors. Unfortunately we do not have the email address of this Pool, but we can provide you with the phone number.